ux Penguin? 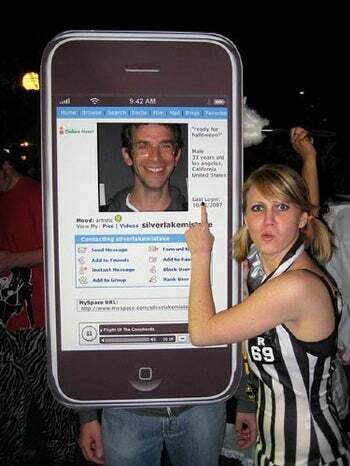 In recent years more and more Halloween party goers are choosing to dress up like an iPhone. 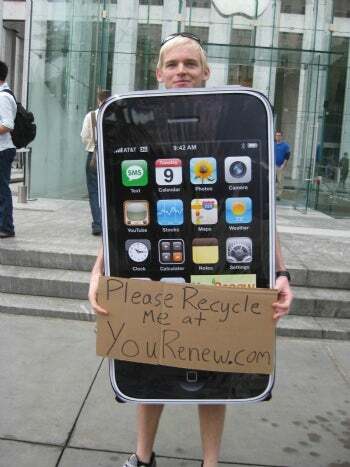 What would possess someone to dress up like their favorite piece of technology? It's not like an evil spirit or seductive she-devil where you can act out certain personality traits. 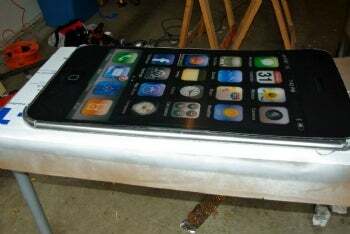 The iPhone, in the end, has no real personality; it's just a fancy piece of plastic with lights and buttons. Isn't it? I put this question to Sally Foster, a former psychology professor and dean of San Elijo Campus at MiraCosta College in California. "In general, people choose Halloween costumes more with their subconscious minds, much like we select our mates," Foster says. "A shy person picks something cool because they want to be cool. If, on the other hand, someone hated technology . . . they'd dress up as a malfunctioning, or archaic piece of equipment." I guess that accounts for this guy who dressed up as the Windows Blue Screen of Death. Bottom line, Foster says that says since technology is so much a part of our lives, it is not at all surprising to see many technology-inspired costumes. There you have it: In a sense, you are what you dress up as -- even if you don't realize it. So the big question is: What kind of iPhone are you? 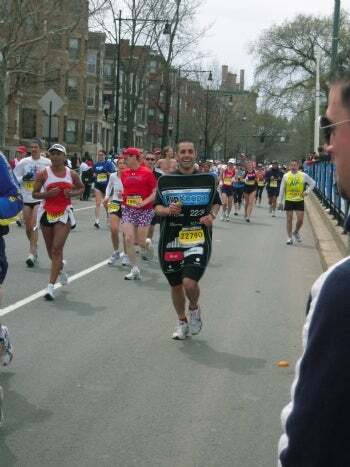 The result is a sandwich-board style costume made of wood, plexiglass, foam pipe insulation, glue, tape, paint, clothespins, paper, and Styrofoam. The realistic front uses Christmas lights to illuminate the iPhone icons. See Laborie's blog for step-by-step instructions showing how he put the costume together. You can also download several image files from the blog to help you create your own iPhone costume. 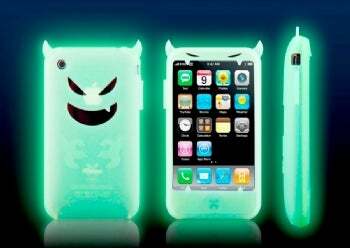 If you need more information, you can also check out this overly thorough review of the demon iPhone case on YouTube.